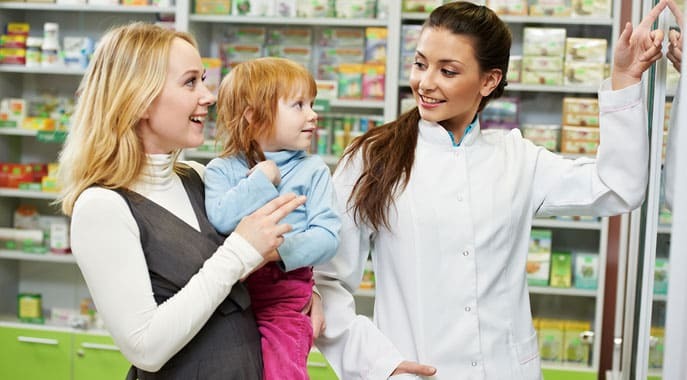 A pharmacy technician’s career in the US is expected to remain in continuous demand over the entire next decade; which is the primary reason why people of all ages are eagerly training themselves to enter this professional health care career. Basically, a pharmacy technician performs a very crucial role in dissemination of health care. He/she manages the back-end work and logistics of a pharmacy; and also assists the pharmacist in carrying out his/her duties effectively and error-free. While pharmacists dispense medicines, the pharmacy technicians manage and sustain a pharmacist’s job. The pharmacy technician measures and counts the medication dosages and mixes them If required, before labeling and storing them. While this may seem like an easy and clerical role with mundane duties; the reality is quite different. A pharmacy technician needs to be meticulous, hard working, and most importantly, needs to remain informed about all the changes in the field of medication. The CEO of National Pharmacy Technician Association (NPTA), Mike Johnson, says that the pharmacy practice changes almost on a weekly basis. This makes it essential that the pharmacy technician always stays at the forefront of these changes and remains constantly updated. There is a tremendous projected growth rate of more than 20% between 2010 and 2020 in the demand for pharmacy technicians in the US. This means an additional job creation equaling 70,000+ new jobs! With these figures, this remains as one of the topmost high-demand jobs in the USA (including Connecticut) for the current decade. This huge surge in demand is fuelled by longer life expectancy, increasing population, and higher medical needs for a constantly expanding group of senior citizens & baby boomers who are now turning 60 and beyond. Moreover, the consumption of prescription drugs is at an all-time high, and new prescription drugs are being approved on a regular basis; further increasing a pharmacist’s user base. A high school degree or equivalent is required to enter the profession. Further training can be received on the job, at community colleges, or vocational training centers. Typical training programs for pharmacy technician are lesser than one year in length. There are various avenues within the health care industry where a pharmacy technician can find job openings. This provides a good degree of variety and opportunity for specialization or growth. Pharmacies and drug stores are the largest employment providers of pharmacy technicians. They employ about 50% of all pharmacy technicians. Hospitals (government and private) are a distant second, followed by general stores / grocery stores and ambulatory health care services. Opportunities may also exist in GP practice, military and primary care where the pharmacy technician works under the supervision of a pharmacist. Experience and extra learning can lead a pharmacy technician into more specialized areas. Some examples are areas such as management of medicines, manufacturing and quality control, electronic health records (EHR), supply chain management (SCM), training, clinical trials, or information management Larger health care setups may have a hierarchy within pharmacy technicians, where a chief or senior pharmacy technician may be supervising the junior pharmacy technicians. A pharmacy technician also deals with sick patients or persons who have come to purchase the medicines for someone who is sick. This requires people handling skills and customer management skills, as well as the ability to deal with anxious patients who need a friendly face behind the counter and can make them feel better and also cared for. Apart from the technical knowhow and people skills, a pharmacy technician needs good physical strength as the work hours can be long, and a lot of work is done while standing or moving around. The person needs to be meticulous and painstaking; as any mistake in labeling or storage can lead to losses and trouble. A lot of pharmacies function round the clock and hence working in night shifts is usually required.